Congregation Ohr Tzafon ("Northern Light") started with the dream of establishing a synagogue in northern San Luis Obispo County. An exploratory get-together was scheduled at City Park in Paso Robles in August of 1996 and the response was positive and enthusiastic. We started with a Torah School for the Jewish children and in September 1996, our school began with 7 students. Our first Shabbat service was held on December 13, 1996. The spirit of joy and excitement we felt then continues to this day. We met for over a year at Plymouth Congregational Church in Paso Robles, and we are grateful to that congregation for their support. We bought our first Torah in Aprl 1997 and we were able to purchase a second one in 2004. That Torah was written in Russia in 1945 and came to us via England. On February 28, 1998, we held our first Shabbat Evening Service in our own small rented storefront in Paso Robles. Congregation Ohr Tzafon was completely lay led. Our members led religious services, taught classes, and volunteered their efforts to conduct the business of the synagogue. In 2003, with 60 members, we affiliated with the Union for Reform Judaism (URJ) and welcomed our first student rabbi, Rabbi Stacey Blank. Janice Mehring began serving our congregation as our Cantorial Soloist in 2003 as well. She was subsequently ordained and became our first rabbi in 2010. 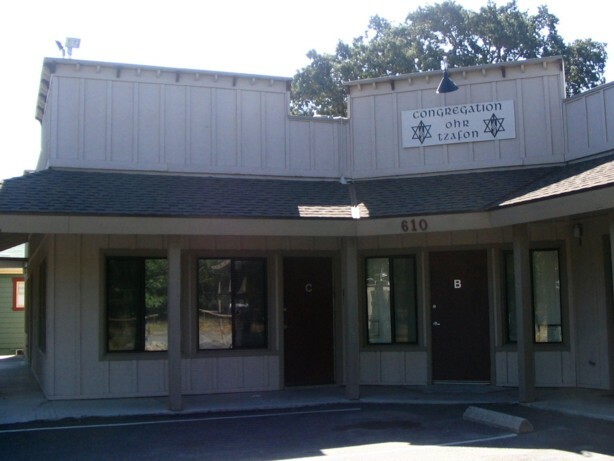 Congregation Ohr Tzafon found a permanent home in Atascadero in 2006. Under the guidance of Rabbi Janice Mehring, we are devoted volunteers and lay leaders, a community bound together by our love for Judaism and eah other. We welcome guests and new members to join our celebration of Judaism in the North County of San Luis Obispo.